Outside of earth Europa is probably the best place for life as we know it to develop. Beneath the radiation soaked exterior, which consists of an ice layer that could be up to 20KM thick, lies a vast ocean that stretches deep into Europa’s interior. This internal ocean, though bereft of any light, could very well harbor the right conditions to support the development of complex life. However if we’re ever going to entertain the idea of exploring the depths of that vast and dark place we’ll first need a lot more data on Europa itself. Last week NASA has greenlit the Europa Clipper mission which will do just that, slated for some time in the 2020 decade. Exploration of Europa has been relatively sparse, with the most recent mission being the New Horizons probe which imaged Europa on its Jupiter flyby on its path to Pluto. Indeed the majority of missions that have imaged Europa have been flybys with the only long duration mission being the Galileo probe that was in orbit around Jupiter for 8 years which included numerous flybys of Europa. The Europa Clipper mission would be quite similar in nature with the craft conducting multiple flybys rather than staying in orbit. The mission would include the multiple year journey to our jovian brother and no less than 45 flybys of Europa once it arrived. It might seem odd that an observation mission would opt to do numerous flybys rather than a continuous orbit however there are multiple reasons for this. For starters Jupiter has a powerful radiation belt that stretches some 700,000KM out from the planet, enveloping Europa. This means that any craft that dares enter Jupiter’s orbit its lifetime is usually somewhat limited and should NASA have opted for an orbital mission rather than a flyby one the craft’s expected lifetime wouldn’t be much more than a month or so. Strictly speaking this might not be too much of an issue as you can make a lot of observations in a month however the real challenge comes from getting that data back down to Earth. Deep space robotic probes are often capable of capturing a lot more information than they’re able to send back in real time, leading to them storing a lot of information locally and transmitting it back over a longer period of time. If the Europa clipper was orbital this would mean it would only have 30 days with which to send back information, not nearly enough for the volumes of data that modern probes can generate. The flybys though give the probe more than enough time to dump all of its data back down to Earth whilst it’s coasting outside of Jupiter’s harsh radiation belts, ensuring that all data gathered is returned safely. Hopefully the data that this craft brings back will pave the way for a potential mission to the surface sometime in the future. Europa has so much potential for harboring life that we simply must investigate it and the data gleaned from the Europa Clipper mission will provide the basis for a future landing mission. Of course such a mission is likely decades away however I, and many others, believe that a mission to poke beneath the surface of Europa is the best chance we have of finding alien life. Even if we don’t that will provide valuable insight into the conditions for forming life and will help point our future searches. 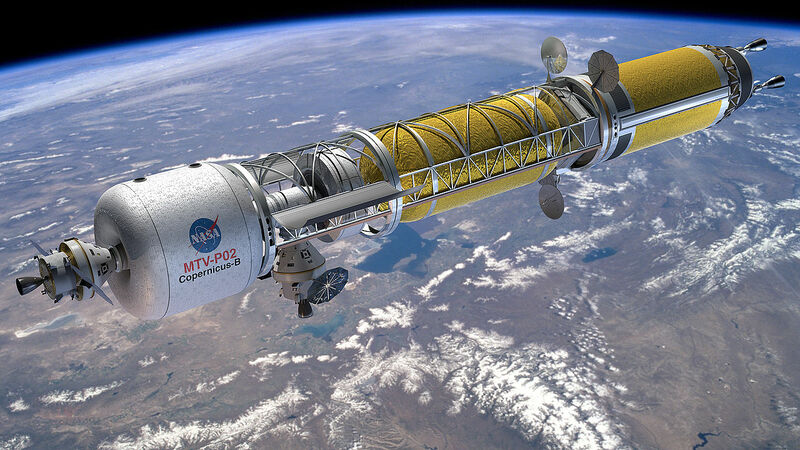 NASA Investigation Nuclear Propulsion for Future Mars Missions. Moving things between planets is a costly exercise no matter which way you cut it. Whilst we’ve come up with some rather ingenious ideas for doing things efficiently, like gravity assists and ion thrusters, these things can only take us so far and the trade offs usually come in the form of extended duration. For our robotic probes this is a no brainer as machines are more than happy to while away the time in space whilst the fleshy counterparts do their bits back here on Earth. 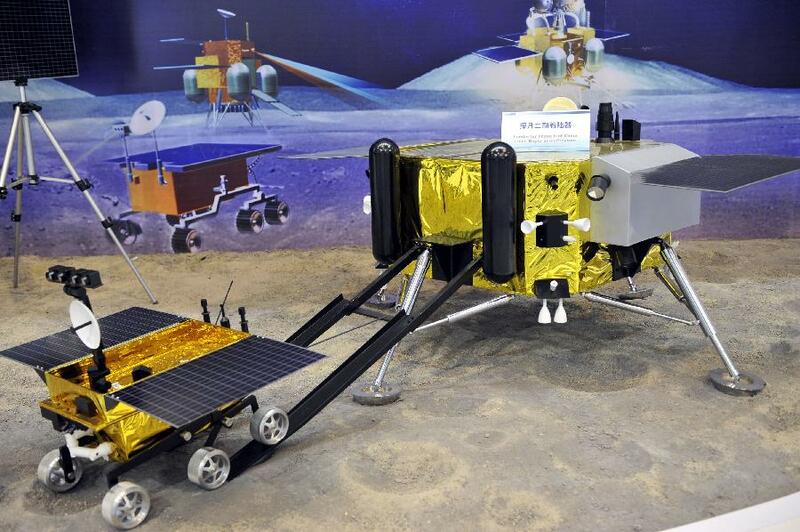 For sending humans (and larger payloads) however these trade offs are less than ideal, especially if you want to do round trips in a reasonable time frame. Thus we have always been on the quest to find better ways to sling ourselves around the universe and NASA has committed to investigating an idea which has been dormant for decades. NASA has been charged with the task of getting humans to Mars by sometime in the 2030s, something which shouldn’t sound like an ambitious feat (but it is, thanks to the budget they’ve got to work with). 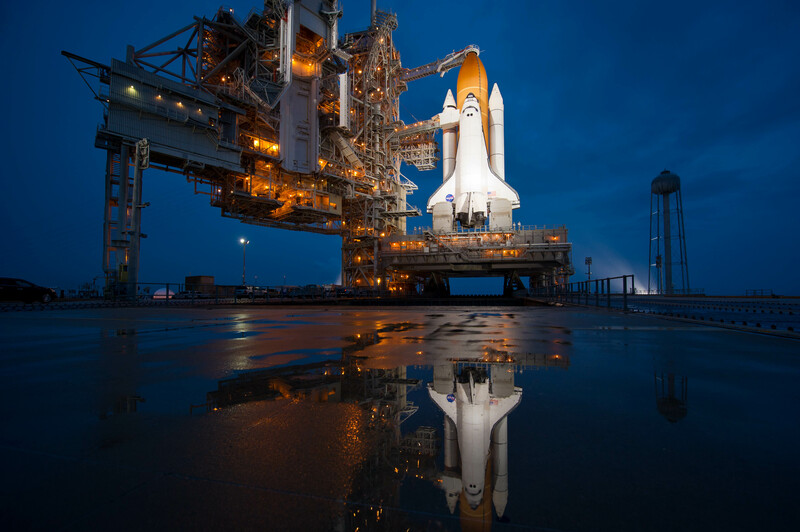 There are several technical hurdles that need to be overcome before this can occur not least of which is developing a launch system which will be able to get them there in a relatively short timespan. Primarily this is a function of the resources required to keep astronauts alive and functioning in space for that length of time without the continual support of launches from home. Current chemical propulsion will get us there in about 6 months which, whilst feasible, still means that any mission to there would take over a year. One kind of propulsion that could cut that time down significantly is Nuclear Thermal which NASA has investigated in the past. There are numerous types of Nuclear Thermal Propulsion (NTP) however the one that’s showing the most promise, in terms of feasibility and power output, is the Gas Core Reactor. Mostly this comes from the designs high specific impulse which allows it to generate an incredible amount of thrust from a small amount of propellant which would prove invaluable for decreasing mission duration. Such designs were previously explored as part of the NERVA program back in the 1970s however it was cancelled when the supporting mission to Mars was cancelled. However with another Mars mission back on the books NASA has begun investigating the technology again as part of the Nuclear Thermal Rocket Element Environmental Simulator (NTREES) at their Huntsville facility. NTP systems likely wouldn’t be used for the initial launch instead they’d form part of the later stage to be used once the craft had made it to space. This negates many of the potential negative aspects like radioactive material being dispersed into the atmosphere and would allow for some concessions in the designs to increase efficiency. Several potential craft have been drafted (including the one pictured above) which use this idea to significantly reduce travel times between planets or, in the case of supply missions, dramatically increase their effective payload. Whether any of these will see the light of day is up to the researchers and mission planners at NASA but there are few competing designs that provide as many benefits as the nuclear options do. It’s good to see NASA pursuing alternative ideas like this as they could one day become the key technology for humanity to spread its presence further into our universe. The decades of chemical based rocketry that we have behind us have been very fruitful but we’re fast approaching the limitations of that technology and we need to be looking further ahead if we want to further our ambitions. With NASA (and others) investigating this technology I’m confident we’ll see it soon. An Armchair Scientist’s Mission To Europa. If there’s any place in our solar system that we’d want to start seriously looking for life it’d be Europa. The dust covered snowball of a moon likely contains a vast subsurface ocean, one that is kept liquid by the giant gravitational forces of its host planet Jupiter. This makes Europa a great candidate for life as we know it as once we find water it’s inevitable that we find life shortly thereafter. 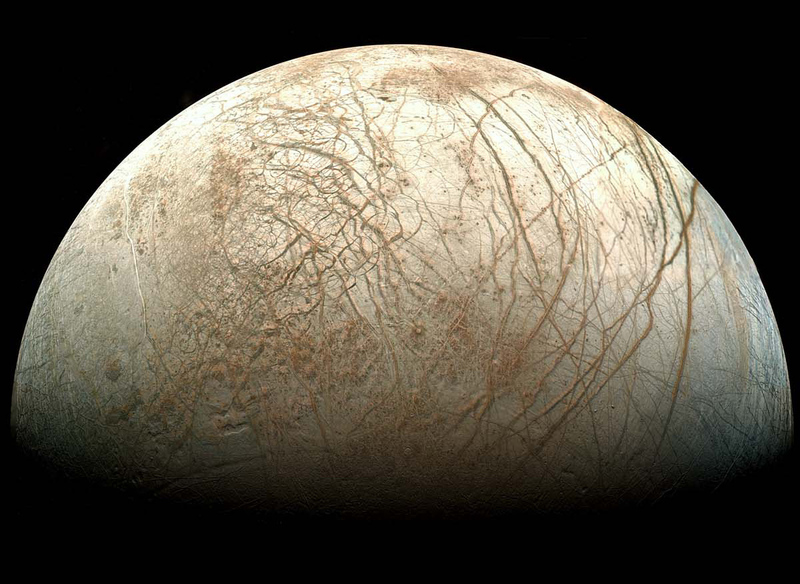 The challenge with Europa though is getting to that subsurface ocean to study it as it could be covered in several kilometers of water ice, not something you can simply puncture through. Whilst there are numerous people more qualified than me on this subject, many of them actually working in the aerospace industry, with NASA asking for ideas for a potential mission to Europa I figured I’d throw my 2 cents in. So the total budget for the potential mission is a cool $1 billion and whilst that sounds like a lot of money projects that I’d consider simpler than my idea (like say Curiosity which was $2.5 billion) but I think there’s potential to build a platform that could fuel further missions. With that in mind this initial mission is likely only to be a scouting mission, one that will give us the most detailed picture of Europa possible so that the follow up mission can choose the perfect site to land on and commence the search for life in its vast underground ocean. My proposal then is to develop a compact nuclear reactor (not a RTG) to power a scouting craft laden with instruments to analyse the gravitic field and surface of Europa. This craft will be able to find the point at which the surface ice is the thinnest and identify potential landing sites for the second generation craft: a cryobot that will punch through to the ocean below. Putting a nuclear reactor into space might sound like the plan of a crazed sci-fi nerd but there’s actually been dozens of small prototype reactors launched into space with all of them proving to be safe and reliable. The power capabilities of such a reactor are far beyond that of what a small satellite would usually require however attempting to melt through kilometers of ice will require power of that scale. Thus it would make sense to fund research into developing the power supply first and then validating it on the scouting craft. Then, once that mission is successful, the reactor can be scaled to the appropriate dimensions for the cryobot mission and even used in other deep space programs. Having such a generous amount of power available also opens up the opportunity to using instruments on the scouting craft which would not be feasible, typically. Things like high-power antennas (which could function as a relay for the follow up mission), radar imagers or bigger and better versions of other instruments. My knowledge on the power requirements of various instruments is limited but I know that even the most advanced RTGs, like the one in Curiosity, produce a measly 125W. Being able to draw on several kilowatts, an order of magnitude more power, seems like it would open up many opportunities that just weren’t possible previously. I’m probably vastly underestimating how much it would cost to develop such technology, especially in today’s nuclear hostile political environment, but if we’re serious about actually digging under Europa’s surface I don’t see what our other options would be. Melting through giant sheets of ice is no small task and one that has requirements that far surpass anything we have currently. Using that $1 billion mission to set ourselves up for future exploration seems like the best bet especially considering how many other applications a safe, small nuclear reactor would have. 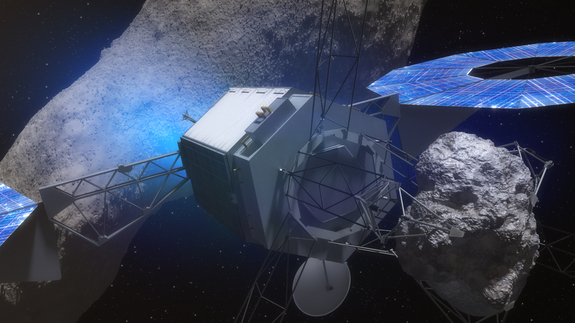 NASA’s Ambitious Asteroid Capture Mission. Whilst the debate among the space enthusiast community still rages about what the next target for human exploration should be those with the capability seem to have already made a decision: we’re going to Mars. NASA has committed to getting astronauts there some time around 2030 and SpaceX’s founder and CEO, Elon Musk, has long held the dream that he’d be retiring on Mars. There’s also the Mars One which, to my surprise, is still going and garnering attention worldwide even here in my home country. The lack of a return mission to the Moon does raise some questions about the technology that will be used as we don’t have any craft capable of going past low earth orbit, not since the Apollo program ended almost half a century ago. 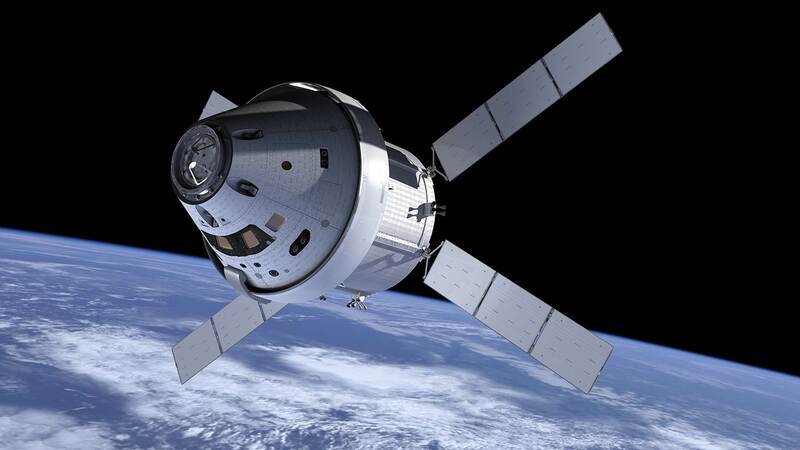 NASA has been working on a new crew capsule for some time now, dubbed the Orion. Initially this was part of the planned 2020 mission to return to the Moon however the majority of that was scrapped in favour of going directly to Mars. The capsule and the revised launch system were retained however and will form the basis of NASA’s future manned space missions. However if the Moon is no longer the goal for this craft and it’s end goal will be long duration flight there’s a lot of testing that needs to be done before we send one of them to Mars. Interestingly NASA has gone for an incredibly ambitious mission to put the Orion’s long duration flight capabilities to the test: an asteroid capture and analysis mission. There’s currently two mission profiles being considered, both of them seeming like something straight out of science fiction. The first (and I’ll guess least likely of the two) is a robotic craft will make its way to a large asteroid, break a chunk of it off and then bring it back into orbit around the moon. The second would be a straight up asteroid capture with the craft grabbing an asteroid in its entirety (it would be small, about 7m or so in diameter) and, again, putting it into lunar orbit. Then once the asteroid is in a stable orbit NASA will send crew to it in an Orion capsule to study it, testing out some of the long duration capabilities as well as other rudimentary space activities like EVAs. Such a mission is actually quite feasible (at least the latter profile) from a technical perspective. Pretty much all the technology required to capture an asteroid of that size is available today and there’s already 6 candidate asteroids identified. The main issue I see with it is time as just getting to the asteroid is planned to take at least 4 years with another 2 to 6 required for it to make the trip back. That means if the mission were to launch today it could potentially take up to 2024 before it returns to us which doesn’t leave a lot of time for NASA to test out the Orion capsule on it, This could be sped up considerably by changing it’s launch profile to include a second stage rocket to boost it rather than relying on the ion thrusters to achieve escape velocity but that would come with additional expense. There’s also the possibility of foregoing the robotic part of this mission completely and just sending humans although that poses just as many challenges as going straight to mars. I’m glad to see NASA making a return to missions like these, ones that truly push the envelop of humanity’s space capabilities. It’s going to be interesting to see how the mission develops as there’s lots of different variables that need to be sorted out, some that will change the mission dramatically. Still the thought of us being able to capture an asteroid, bring it into lunar orbit and then send humans to study it is just an incredible thing to think about and I truly hope NASA sees this one through to fruition.